When a close friend or other loves ones die it is not a time to be stoic. It is a time to remember them and express your true feelings. That is a good thing. The year 1975 was truly unforgettable for me for two different reasons. It marked the publication of my first book, a collection of poems entitled, Kung Fu:The Master: The Book of Kitabu,, a book which catapulted me not only onto the literary stage but the Martial arts arena as well. Though I had no desire to bring attention to that part of my life, my publisher, Bob Friedman, then of Donning/Herschfeld Publishing Company, chose the title... From then until the present day I was marked. 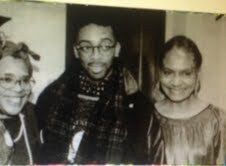 The other reason I will never forget that year is because I met the incredible living force called Ellen Okaree Byrd. As a Zen master and poet with a book I quickly learned what to expect when I appeared in public. I was a guest on all the local talk shows, written about in every newspaper and magazine, and feted at university events. I found myself signing autographs at Waldenbooks, Barnes and Nobles, and later Borders and stores in between. The first time I was invited to sign at an African American book store was when I received an Invitation to The Spiral Bookstore on Baker Road in Norfolk, Virginia. It was the bookstore of Ellen O. Byrd. I was greeted by the most radiant smile. Her golden complexion was crowned by rich natural hair. Her voice was strong, surprisingly so. During the course of the signing, she provided me with hot tea. We chatted between customers. I do not remember much about our conversation, only that we spoke about the plight of our people. I would learn that making a difference was her passion. I got another glimpse into her mindset and my own just before she closed for the evening. She offered to take me home. We both lived in Portsmouth, Virginia. “Do me a favor,” She said to the celebrity poet. “Yes. What do you need?” I asked. “Clean the toilet.” She said without hesitation. At that moment the universe became perfectly still. I wasn't just an author. I had satori in 1971. Shouldn't I be receiving some kind of respect? Should I be cleaning the toilet of someone I just met? Of course, the answer is absolutely, and I did. Yet, what seemed like no hesitation to her took me though a special lesson in humility. Even if one has satori, one does not fall full grown from the Bodhi tree. Sometimes it takes up to 30 years or more to mature one's enlightenment. I took the brush and cleaning solution and went to work. Ellen did not know it but she taught me something. I quickly learned she was direct and focused, her words penetrated as a sword. She did not waiver from her truth. Neither did I. The MindSwords were always poised. A person who did not know what they were talking about would be better off not wasting Ellen's time because she was not above letting that person know that that was what they were doing. A strange and beautiful phenomenon happened the evening of the booksigning. It is possibly the only explanation for why Ellen and I went from total strangers to an uncanny bond in only hours. The late Ida Sands, who use to sing with The Platters invited Ellen to bring me to a social event. I was called on to speak shortly after I arrived.. When I am in a public setting my spiritual nature is at its strongest. I spoke on the power of love, its transforming nature, as well as its ability to flow from soul to soul, to transmit. Then I was lead to do something I had never tried before. I asked for a volunteer. Ellen came up before the curious guests. I told her to close her eyes and meditate on love. When I felt she was in the right frame of mind. I kissed her, breathing love into that moment. Later that evening Ellen drove me home. However, we were still in the grip of that awesome experience. It seemed that only moments passed. In reality we had sat through the night. We were still sitting in the car but the darkness had become bright sunlight. We had talked all night long. From the night of the mystical kiss for years to come afterwards we were inseparable. I had my own path, and I fiercely guarded it but Ellen had a way of inspiring me to move in different directions. At this point I have owned about 15 cars, but when I met Ellen I didn't have a license or a car. I was in the New York state of mind where public transportation was the norm. In a few well-chosen words she convinced me of the importance of driving in the South. I got my license that week and a car the next. When I drove up to her house she got in her car and lead me along the streets. It was a game of “follow the leader” in cars. We were both serious people with serious missions but there was a time given to us to enjoy just being, to have some fun. Ellen was serious about her work but she was also serious about friendship. Anyone who was graced to be in her circle of friends received genuine affection and enthusiastic support for their dreams and projects. Ellen was not afraid of growth. I watched her expand her personal and career concepts as the need arose. When I met her she wore her hair in the classical natural way. I thought it was perfect for her. Eventually she moved The Spiral Book Store to the Ghent section of Norfolk. It was located on Colley Avenue, the avant garde' area of town that was the spiritual equivalent of Greenich Village in New York. She was the grand lady there. It was about that time that she decided to do something different with her hair. She decided to grow dreadlocks. The initial growth was not at all attractive but I observed as her hair grew and the locks began to fall. Suddenly, she had a new look, and it seems, a new attitude also. It was still her normal practice to put me to work when I visited. Sometimes, she would ask me to take the covers off of unsold books so that she could turn them in for credit. The other part of the books she saved to deliver to hospitals and convalescence homes. Sometimes, I would accompany her on these deliveries. I had no "rank" with Ellen so she had no problem assigning chores to me around the store. I had no problem doing them. In fact, I liked the ordinary treatment. It was a change from how I was being treated by others. Ellen did not respond to me like a Roshi but our bond was more than enough. I prayed a prayer. When it was time for me to receive more training I asked God to let me know, to make my guide known to me. I knew that there were gaps in my understanding. This prayer was answered on the lips of our mutual friend, Ida Sands. "I saw an article in the paper about a Guru being in town," she said, then handed the paper to me. As a Zen practitioner rooted in Christianity I had nothing to do with gurus. My immediate reaction was that I was not interested. However, I read the article because she handed the paper to me. 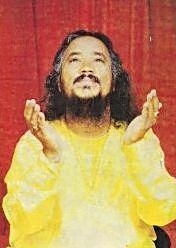 I felt a powerful, peaceful and spiritual emanation coming from his name, Sadguru Sant Keshavadas. "Let's go see him," I suggested. So it was that Ellen, Ida and me embarked on this mystical adventure together. The bodhimandala, the place of meditation was the Aquarian-Age Yoga Center in Virginia Beach. It was a time when African Americans were not freely welcomed in such gatherings but we entered boldly. We belonged. My own encounter and subsequent life-long relationship with the Sadguru is well-documented. The other story, less known, is that Ellen, who was later renamed, Bharati, found her own path into the heart of Sadguru Sant Keshavadas and his disciple/wife. Rama Mataji. Without my being aware of the dynamics, she was soon emmershed in the life of the ashram and a favorite of the guru. That smile, that directness had done its magic again. It seemed no one was immune to her charm. Many years later, when I would speak to Rama Mataji, she would inquire about Bharati. She always did. Rama Mataji and her children, Murali, Geetha and Shyam loved Bharati. She became another mother-figure to the children, a confidant to Rama Mataji. That was something else that Ellen was gifted in. She had an uncanny ability to win the love of children. No matter what their race, color or creed, they were drawn to her. Ellen enjoyed reading to children and constructing educational materials for them She met them mind to mind. Ellen was fascinated by Sadguru Sant Keshavadas for many reasons. She was impressed by how organized he was, by his incredible ability to accomplish so many wonderful goals and also by his wisdom. Ellen was also an admirer of his neatness. "He is immaculate," she would say with emphasis. Ellen was an excellent student of Sadguru Sant Keshavadas. Under his inspiration her mind expanded. Where she was once so pragmatic, she became Spirit-Centered. She believed in new possibilities. Eventually, she closed the bookstore and enrolled in Norfolk State University. At age 53 she became a college freshmen. She knew exactly what she wanted to study. Her major was Early Childhood Education. It was not an idle choice. Ellen was good at embracing change. When she graduated everything fell in place for her to practice her new found skills. 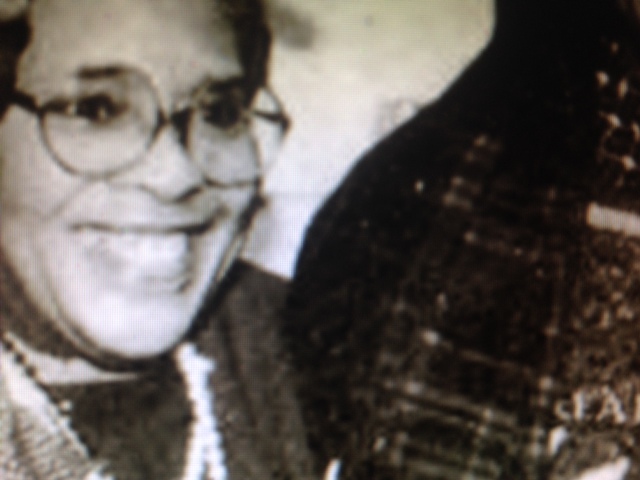 Her friend, Consuela Lee Moorehead, the aunt of Film Director, Spike Lee, invited her to become part of Snow Hill Institute for the Performing Arts in Alabama. Ellen was always a strong ally to have. She had been a leader in W.E.T.A. Women for Education and Training in the Arts made a significant impact on the Hampton Roads area. When I told Playwright, Terrance Afer-Anderson that Ellen had passed, he was visibly shaken. He told me W.E.T.A. had sponsored one of his plays. When it was time Ellen packed her car and left for Alabama. Just like that she left all her friends to start a new adventure. Ellen was good at new starts, at leaving but she never closed the door completely. We would discover in time that she would come down to visit us. As the years passed she became an enthusiastic voice on the phone. She told me how an inheritance from her parents changed her life more. When her parents were very much alive Ellen felt a strong need to visit them in Boston. She asked me to ride with her. What I saw was so impressive. Her parents, very Religious people, had built the house they were living in with their own hands. It was easy to see where Ellen's inspiration came from. She, too, was a builder. Ellen bought a 40 acre farm in Furman, Alabama. She developed the farm into The Black Freedmen's Farm. It became a conservation project dedicated to educating children about nature. She founded it in 1994 and ran it almost continuously, with the exception of the time she spent recuperating in a convalescent home. During this period she was no longer reachable. Her number was not forwarded, and it seemed none of us knew of her plight. When she finally returned to the farm her phone number had changed. None of her old friends, not even I knew how to reach her by any means. I felt an urgency to find her.Though I located people in Alabama who knew her, but no one had a working number. I discovered later that others were also trying to locate her. Web searches, phone calls, inquiring of others who knew her well, did not work. I was uneasy about the inability to contact her. I have every reason to trust my intuition. Consuela Lee Moorehead who invited Ellen to live and work in Alabama, her best friend of many years and director of Snow Hill Institute, left her behind through death. Consuela was also a powerhouse of activity whose music talent was legendary. She was featured as a pianist in "School Daze," one of Spike Lee's movies. Ellen spoke at the memorial. Then she continued with her own work. It was her way. Ellen could always be counted on to be in motion. She had to be in action. Only an illness could slow her down. In all the years that I knew her only one sickness was strong enough, and it was near the end. I salute my friend for being a strong spirit who continually gave to everyone around. I remember also that smile that had the power to move us all. Ellen gave me a collection of her poetry to read. I encouraged her to seek a publisher because they were meaningful and beautiful. One of her favorites and mine began..."A woman was born today..." That is what I would say to anyone who thinks this is the end, that Ellen has died. She continues. She is just reborn on the other side of this. There are a few people who become "family" because of their spiritual input in our lives. While they are still with us we should acknowledge them freely. It is too late when they're gone. Ellen Okaree Byrd was such a person. Find that person in your life.